Q. GDPR - Worried about your data? A. Please read our policy on your data for your peace of mind. Q. How do I receive my invoice? A. You're invoice is sent to you by email. Q. I have not received any emails from you? A. You're email address may have been entered incorrectly or blocked as spam. Please contact us and we will fax/post you your invoice. A. You can pay by Credit/Debit Card, PayPal or BACS. Q. I paid by credit card and I have seen I was debited by a company called Mediacomm? A. 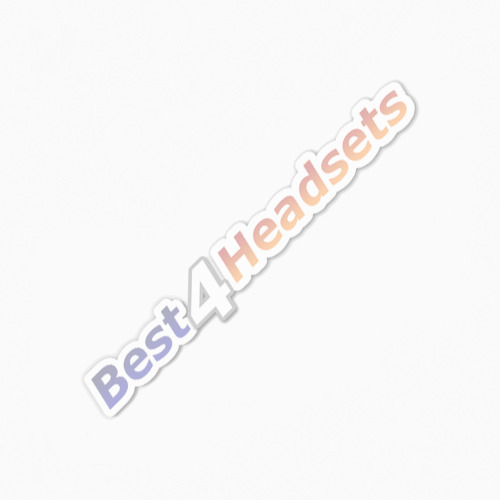 Media and Communications is the holding company of Best4Headsets. The amount debited will correspond to the amount stated on your invoice. Q. Can I have a Pro Forma invoice to raise a company Cheque? A. Yes. Simply write "Pro Forma" in the delivery note field above the payment method when you place your order and choose "Cheque" as payment method. A Pro Forma Invoice will be sent to your email address. Q. What warranty do you offer? A. 12 month "return to base" warranty on all products (excluding consumables). In the case of new products the manufacturers warranty will take precedence. Q. I need to return a product. How do I do that? A. In order to return a product, you will first need an RMA number. Please complete the return request form and we will provide you with an RMA form that will have all the instructions for sending the product back including the RMA number. Select the product you wish to buy, then press "buy now" to add the products to the basket. You can go back to the shop and select anything else you require. When you have added all your products to the basket, simply press checkout. You will need to enter you address and contact details, then your payment details. You can call our sales staff on 0844 854 6850 who will be happy to place the order over the phone with you. All orders under £100 must be placed online. A. The cost of delivery is £10 to the UK mainland, £25 to non UK mainland (including Northern Ireland). These prices are for next day delivery. For any international delivery please contact us so we can get a quote for you. Q. I need my products next day by 10.00am. Can you deliver? A. Yes, but you will need to call us to arrange it. We offer a range of timed deliveries in the UK mainland. * Please Note that we can not be held responsible for non delivery of posted items. Q. Will you deliver to an address other then my billing address? A. Yes. We do however need your billing address for payment purposes. A. Yes we do, but we will only accept payment by bank transfer. We will also need you to contact us to find out the shipping cost for your goods.